This is a big month for our board member, Ruth Bramson. Ruth is CEO of the Girl Scouts of Eastern Massachusetts, and March 2012 is the centennial of the Girl Scouts of America. Ruth heads an organization that touches the lives of 45,000 girls in 178 cities and towns in eastern Massachusetts, supported by the efforts of over 17,000 volunteers. Ruth’s had a lot of significant leadership positions in her career, but this is clearly the one about which she’s most passionate. Ruth shared some of her advice to young women who wish to become leaders in this recent article on Forbes.com and to the organizations who need to cultivate women leaders in our recent book, The Elements of Successful Organizations. 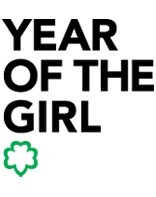 The mission of Girl Scouting is to build girls of “courage, confidence, and character, who make the world a better place”. Ruth and I recently spoke about the lessons she’s learned as a female executive in the retail, services, public sector and non-profit worlds as well as the areas she and the Girl Scouts are focused on to develop the next generation of women leaders. These efforts include STEM (science, technology, engineering and math) initiatives intended to engage girls’ interest in these subjects that not only can lead to rewarding careers, but also fill much needed gaps in the talent pool required to keep Massachusetts (and the rest of the nation) competitive as a high tech hub. The recent “Generation STEM” research published by the Girl Scouts indicates that stereotypical attitudes about girls in STEM fields continues to inhibit young women’s pursuit of careers in these disciplines. I asked Ruth, given all the advances women have made in the past 30 years, why we still need organizations to pay attention to the development of girls and women. You can listen in and hear her answers here: Ruth Bramson on developing female leaders.